In 2015 we developed a small exhibition to commemorate the ANZAC centenary and it also became our first online exhibition. 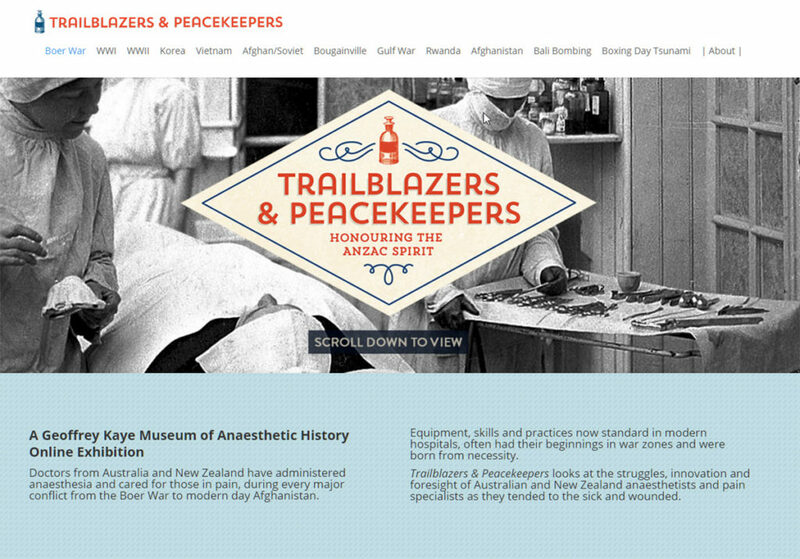 Trailblazers & Peacekeepers is a mix of historical and first-person accounts of anaesthetists and pain medicine specialists in conflict and emergency relief zones. We’re currently working on the online version of our latest exhibition, From Snake Oil to Science. We want to let you know how that one’s going too. We also undertake a lot of projects. We have a great team of volunteers, mostly students from various Museum Studies programs, and we love having them around. Rebecca Lush, a student at University of Sydney, volunteered with us last year. 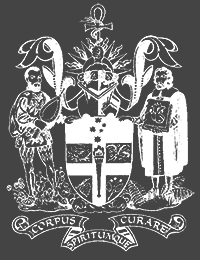 She undertook research into the lives of the 40 Foundation Fellows of the Faculty of Anaesthetists at the Royal Australasian College of Surgeons in 1952. 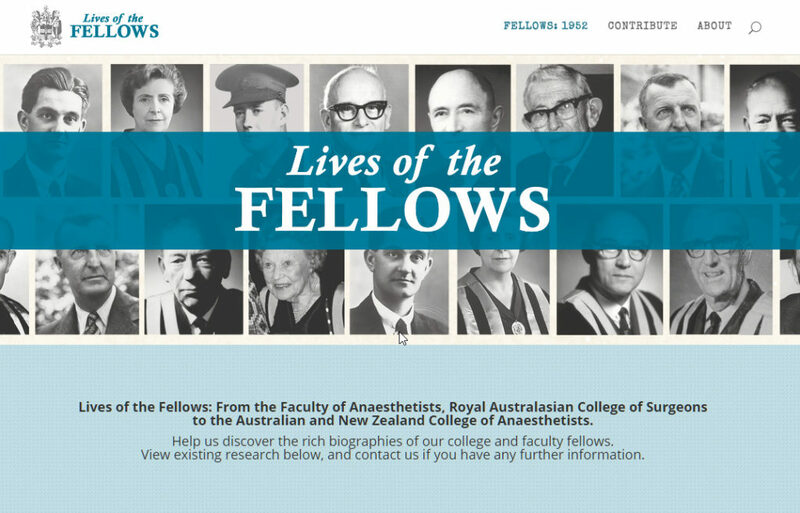 Her research was turned into an online exhibition called Lives of the Fellows: 1952. You might notice some entries don’t have a lot of information but she was only here for four week and there’s also a “Contribute” page. If you have information about any of these people, we really want to know about it. It could be a photograph, a letter, a personal anecdote, anything, it’s all relevant.